PPS supplies efficient and high quality tube fillers with a number of different sealing and closing systems. Together with Romaco Siebler, we offer different rigid tube filling solutions. Furthermore, we supply filling systems for other types of tubes, such as plastic, aluminium or laminate tubes. PPS and Romaco Siebler offer efficient and highly automated rigid tube fillers, ideal for large scale production. 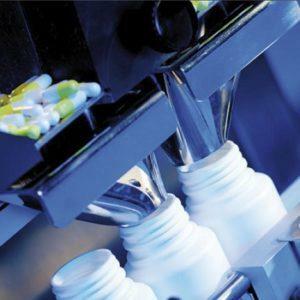 The unique rotation principle enables gentle product handling and safe processing of even fragile effervescent tablets. The rigid tube filler is designed with few format parts making cleaning and retooling quick and easy. Flexible adjustment of filling volume. Pick & place transfer system for safe tube transporting. The rigid tube filler produces up to 120 tubes per minute. PPS also offers tube filling solutions for softer tubes of various material, such as aluminium, plastic, laminate or metal. 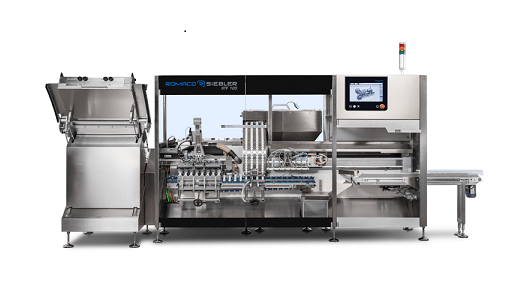 Tube fillers come in both semi-automatic and fully automatic versions and with different output speeds, as well as different types of sealing systems, e.g. hot air sealing or ultrasonic sealing. Please contact us directly for more information of what we can offer. Together with Romaco Siebler, we offer different rigid tube filling solutions. Furthermore, we supply filling systems for other types of tubes, such as plastic, aluminium or laminate tubes. PPS also offers tube filling solutions for softer tubes of various material, such as aluminium, plastic, laminate or metal. Tube fillers come in both semi-automatic and automatic versions and with different output speeds, as well as different types of sealing systems, e.g. hot air sealing or ultrasonic sealing.